China’s unique innovation model is designed around deeply embedded public-private collaboration. The state provides strategic direction and financial incentives through subsidized research and project deployment, while private companies drive technology and business model innovation. China is an ideal testbed for experimental deployment of new business models and operating processes. Chinese end users are highly adaptable due to the lack of entrenched operating processes and their comfort level with digital technologies. Chinese Industrial IoT companies focus on connected devices and software. Few companies have competitive core hardware technologies but they excel at integrating technologies into innovative form factors with unique business models. Among the 20 mature companies that are most active as partners of the 134 IoT companies in this report, only 3 are in the industrial sector. The remaining 17 companies are either IT or telecommunications companies. This indicates that traditional industrial technology campanies may lose market share to new competitors as the foundation of industrial value creation shifts from hardware to software. Among the 10 foreign companies that are most active as partners in the Chinese IoT market, only 1 is European and 1 is Asian, while 8 are American. Despite their strong historical market share, European companies may be weakly positioned as industrial value creation shifts from hardware to software. A sample report will be sent to your email within 24 hours. Whether you operate in China, compete with Chinese companies, or look to China as a growth market, you will be impacted by China’s investment in Internet of Things (IoT) solution innovation and system deployment. 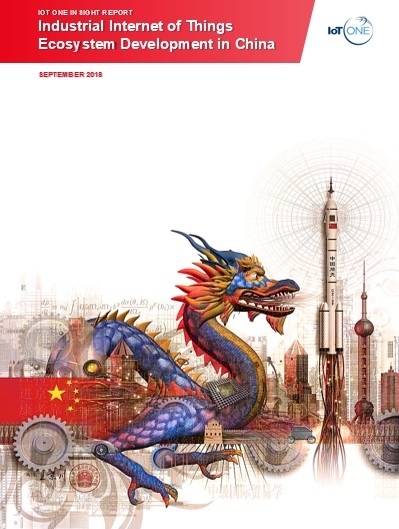 This 177-page report captures the current state of the Industrial IoT market in China, with a focus on the entrepreneurial companies that will power China’s industrial transformation. It is written for industrial technology vendors and operators that are committed to remaining profitable and relevant in an era of data-driven value creation. The report covers 134 Chinese vendors of software, hardware, or services that enable IoT solutions. 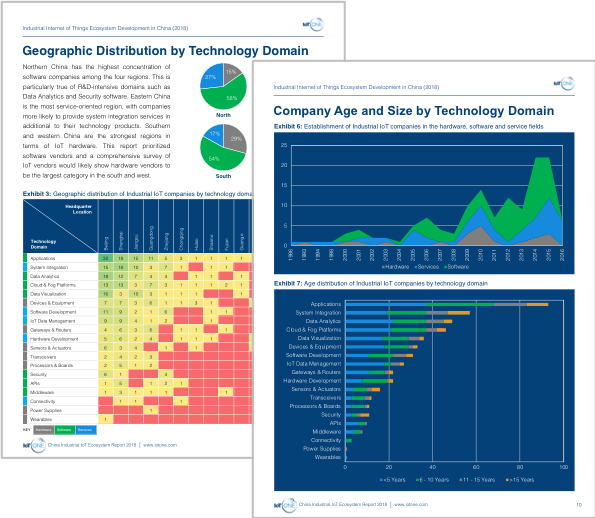 These companies provide technologies or services in 19 solution domains and serve 24 industries and 13 functions. China is poised to become a leader in both the development and deployment of IoT technologies. Foreign companies have much to gain by participating in China’s next stage of industrial development. However, they must do so with a strategy that is sufficiently agile to compete in China’s dynamic markets yet attentive to the risks posed by China's innovation and industrial policies. 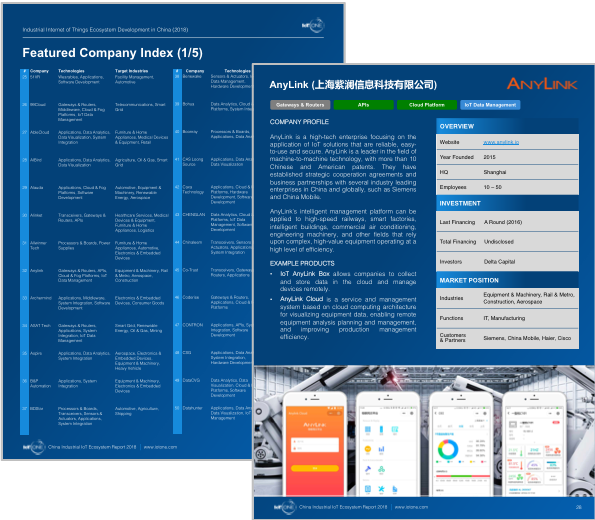 177-page report detailing the Industrial IoT market in China, based on research into 134 of the entrepreneurial companies that are driving China’s industrial digital transformation. IoT ONE provides research and advisory services to help companies manage the threats and opportunities brought by the Internet of Things. Intent focus on researching Internet of Things use cases, technologies, business models, and partner ecosystems. Engagement with technology and startup ecosystems that give us access to deep insight and specialized expertise. Our combination of IoT domain expertise with innovation strategy and organizational development experience to drive change and long term impact. IoT ONE delivers research services globally and advisory and organization development in Asia. We are headquartered in Shanghai, the center of industrial technology development and advanced manufacturing in China. We have execution capabilities in Shenzhen, Singapore, and Munich and work with partners in Boston to support technology research. Learn more about us & our solutions! We customize research to support your decision making for your unique challenges. Contact IoT ONE to discuss your research objectives.